New album Post Pop Depression is officially just an Iggy record. Iggy Pop has shared the first single from the joint album he’s made with Queens Of The Stone Age singer Josh Homme. The pair performed Gardenia on US chatshow The Late Show With Stephen Colbert on Thursday evening, before releasing the studio version of the song across streaming platforms. 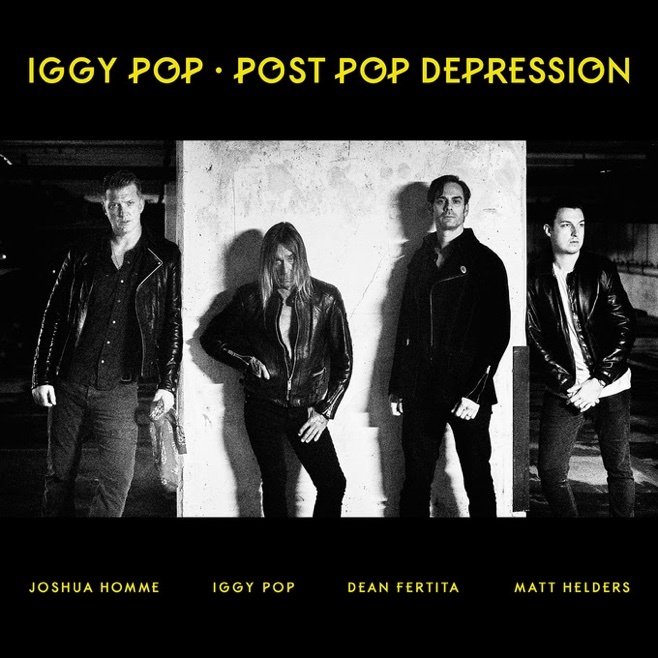 Although their album Post Pop Depression will officially be credited to just Iggy Pop, Homme has already said the singers will do a joint tour for Post Pop Depression, which is released on March 18. The sleeve of the album shows its other two guests with Pop and Homme – Queens Of The Stone Age keyboardist Dean Fertita and Arctic Monkeys drummer Matt Helders. Helders is playing with Pop while Arctic Monkeys take a break to allow Alex Turner to release his second album with The Last Shadow Puppets in April, his duo with Miles Kane. Depressing sleeve The cover of Iggy Pop and Josh Homme's joint album Post Pop Depression. The backing band for the nine-song album will also feature guitarists Troy Van Leeuwen from Queens Of The Stone Age and session player Matt Sweeney from Zwan and Bonnie Prince Billy. The album is Pop’s first since Apres in 2012, although he also made Ready To Die with The Stooges in 2013. The tracklisting for the album is: Break Into Your Heart; Gardenia; American Valhalla; In The Lobby; Sunday; Vulture; German Days; Chocolate Drops; Paraguay.